F.A.S. 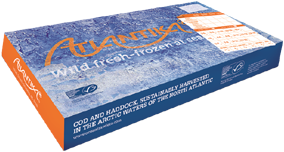 (2000) Ltd specialise in the supply and distribution of frozen at sea fish fillets to the fish and chip trade throughout the South of England. 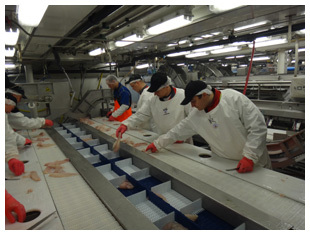 We pride ourselves on being able to offer only the best quality fillets at competitive rates throughout the whole year. Our unique relationship with Fastnet Fish Ltd allows us to source fish directly from Norway, Faroe, Russia and Iceland offering a variety of brands un-rivalled by the competition. By specialising in fish as well as offering hundreds of sundry items our sales team really are experts in their field, fully understanding their customers needs. Coupled with reliable deliveries provided by our fully refrigerated fleet of vans, F.A.S. (2000) Ltd has earned the trust and confidence of its customers necessary to succeed in such a competitive market. An impressive expansion plan is underway which in time will see F.A.S. (2000) Ltd as one of the largest independent fish distributors in the country.